After fishing in a host of Indiana TBF Junior events against each other Greg Zellers and Brody McWilliams teamed up to win the 2012 Indiana High School State Championship on Patoka Lake. The pair who hails from Winamac High School and Center Grove High School landed a huge 20lb 11oz. sack of fish. It was enough to best the second place team of Caleb Taylor and Sam Lentz from Eastside High School who also had a very respectable 15lbs 14 oz. Just behind those two teams were Bryce Kalen and Tony Ardizzone from Franklin High School who also tipped the 15 pound mark with a 15lb 9 oz. bag to finish third. “We came down here on Wednesday and pre-fished for a few days so it was just a matter of locating the fish we had found and then getting them to bite,” stated McWilliams. The secret weapon was a Poor Boy Jig that they fished in the matted weeds through a variety of depths. “When we pre-fished on Wednesday it was just phenomenal,” added Zellers. “We caught them on almost everything that we threw. Then the cold front came in yesterday and changed things up a little. With the BFL fishing here yesterday we were hoping our fish would hold in the locations we had found them in,” added the smiling angler. If you’re interested in starting a High School Fishing club at your school, please visit HighSchoolFishing.org for details on the Student Angler Federation (SAF). 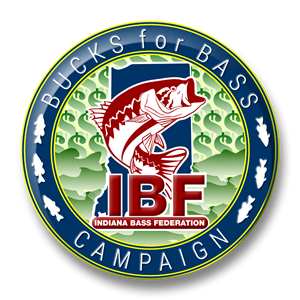 Cost is only $25/ year and includes full TBF and FLW Outdoors benefits, including access to the all-new FLW Outdoors Magazine e-Edition and insurance coverage for students and their club. 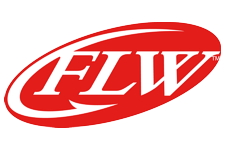 The winning two-person team from each state championship will advance to an FLW Outdoors/TBF High School Fishing Conference Championship held in conjunction with a National Guard FLW College Fishing Conference Championship. Those winners will advance to the FLW Outdoors/TBF High School Fishing National Championship held in conjunction with the National Guard FLW College Fishing National Championship in the spring of 2013. All SAF members and state championship participants qualify for the largest event in high school fishing, the 2012 High School Fishing World Finals to compete for thousands of dollars in college scholarships and prizes. Each team that qualifies for a conference and/or national championship will receive a travel allowance to help offset expenses. The National Champions will also each receive a $5,000 scholarship to use at the university of their choice. For information on how to join the new and exciting sport of high school bass fishing, visit www.HighSchoolFishing.org. Find us on Facebook at www.facebook.com/hsfishing or follow us on Twitter @hs_fishing. The TBF High School Championship series continues with the Ohio State Championship on the Ohio River this weekend.